Automated update checker that notifies you of any pending updates. In the Control Panel, go to Settings → Plugins and click the “Install” button for Update Checker. An email will be sent to a list of comma-separated email addresses. 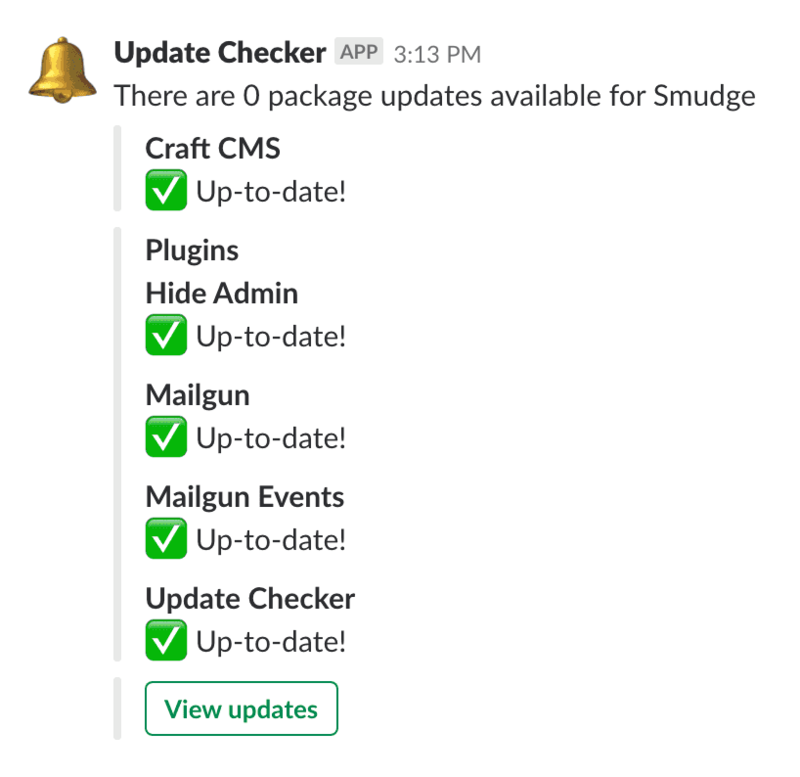 Notifications will be sent to a Slack Channel of your choosing. This requires the creation of a Slack Webhook, which you can do here. You can secure your endpoint with an access key, which is set in the plugin settings. Update Checker relies on the endpoint being hit on a regular basis, which will require a cron job. If you aren't familiar with setting up cron jobs I highly recommend using a service such as SetCronJob. Feel free to set the cron job to check for updates as often as you like. If you create a config file in your config folder called update-checker.php, you can override the plugin’s settings in the Control Panel. Since that config file is fully multi-environment aware, this is a handy way to have different settings across multiple environments.